The dissolution of your marriage is an emotional and stressful event. Mark Cord looks out for your best legal interests so you can concentrate on the well-being of your family. When it comes to divorce representation, there is no substitute for experience. Mark Cord has practiced divorce and family law in the greater Phoenix area for more than 40 years and is one of the few Arizona attorneys certified as a specialist by the state bar. 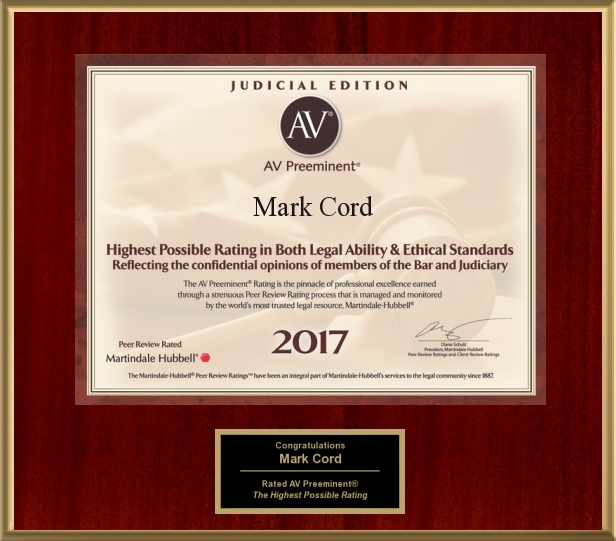 Whether you’re hoping to negotiate a settlement and avoid court, or you need to aggressively litigate to protect your rights, Mark Cord is prepared to fight for the best possible outcome. Mark takes charge of every detail of your divorce case, so you have skilled support through every step of the process. Mediation gives you and your spouse a structured forum to negotiate a divorce settlement. The mediation process fosters cooperation between separating partners and lessens the stress and hostility usually associated with litigation. Mediation is often a time- and cost-effective choice compared to taking a case to the courtroom. It helps put the decision-making process in your hands. As an experienced negotiator, Mark guides you through the mediation process so you can achieve a favorable divorce settlement, a fair child support agreement, and a healthy child custody arrangement. If going to court becomes necessary, having a strong litigator at your side is vital to your success. Mark is always prepared for trial and fights zealously for your rights at every stage of the adversarial process. His assertive approach alleviates uncertainty and stress during the arduous litigation process and helps you obtain the most favorable trial outcome. Using strategic trial tactics and commanding courtroom presence, Mark successfully represents clients and delivers consistently excellent results. For more than 40 years, attorney Mark Cord has provided effective and ethical divorce representation in Scottsdale and the Phoenix metropolitan area. 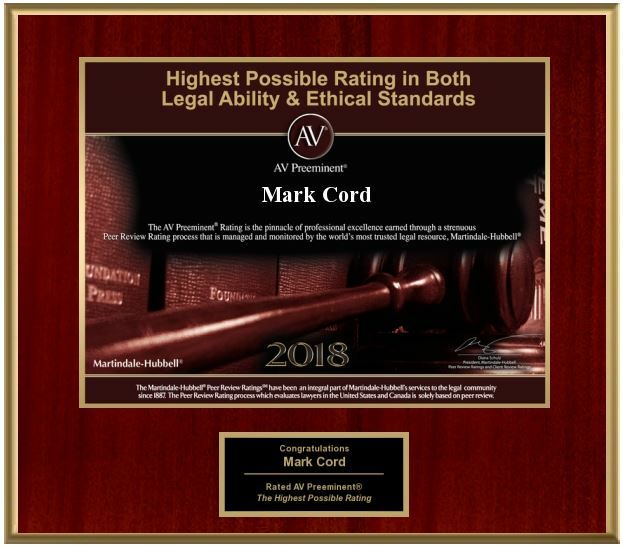 Mark has a reputation for adept mediation and aggressive litigation that produces positive results. Call Mark today at 480-994-0345 or contact his office online to schedule your free initial consultation.